Do you want information about flood insurance in Cincinnati or the surrounding Tri State Area? Contact 513-662-7000 to speak with one of our insurance representatives who can help you with flood insurance. Flood Claims Are Excluded on Your Homeowners Insurance Policy! Unfortunately if your home becomes flooded due to an outside water source entering your premises it’s likely that any resulting damage will be excluded by your homeowner’s insurance policy. The reason why is due to a specific exclusion in the homeowners insurance policy. Regrettably many people have learned the hard way that a flood is automatically excluded with every homeowner’s insurance company. We do not cover loss resulting directly or indirectly by any of the following under any Section I – Property Protection coverages. Such loss is excluded regardless of any other cause or event contributing concurrently or in any sequence to the loss. 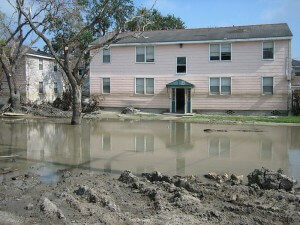 Water damage, meaning: a. flood, surface water, waves, tidal water or overflow of a body of water. We do not cover spray from any of these, whether or not driven by wind; b. water or water-borne material which backs up through sewers or drains or which overflows or is discharged from a sump, sump pump or related equipment; or c. water or water-borne material below the surface of the ground. This includes water which exerts pressure on or flows, seeps or leaks through any part of a building or other structure, sidewalk, driveway, foundation or swimming pool; caused by or resulting from human or animal forces or any act of nature. Flood insurance can be purchased through our agency by calling 513-662-7000, but it is underwritten by the Federal Emergency Management Agency. (FEMA) Certain insurance companies have been authorized by FEMA to administratively issue flood insurance policies. If You Need Flood Insurance in Ohio, Kentucky, Michigan, or Indiana Call 513-662-7000.